1. Conduct a link audit. In order to figure out what’s working with your link profile and what’s not, it’s often helpful to find out what your current link profile looks like. Plus, if you find lots of spammy links with their claws in your website, you can take this opportunity to remove them. 3. Interview an industry expert. This is a great way to create linkbait – if you ask the right questions, people in your industry will definitely be curious to hear what this leader has to say. Post the interview on your website and share on social media. 4. Write a testimonial for a product your company uses. Submit the testimonial to the company – if it’s published, you can make sure that your company website is linked where your name is mentioned. 5. Sign up for HARO. Help a Reporter Out is a website that helps connect reporters and sources. Patrol their emails daily and respond to any call for a source that fits in with your industry. 6. Donate to charities and nonprofits. You don’t have to shell out the big bucks – donate $50 or $100 and ask for a link on their donators page. 7. Capitalize on local SEO. Make sure that your company is listed in Google Places and on Yelp. This way, it’s easy for customers to find you and post reviews. 8. Submit articles and blog posts to syndication sites. Make sure to include links wherever relevant. A good place to start is HubPages. 9. 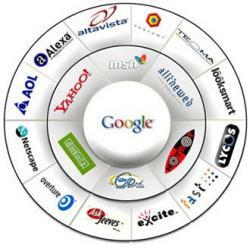 Take advantage of Google+ authorship. Yes, you can get your picture and G+ profile in the search results, and boost your SEO while you’re at it. Find out how. 10. Use your Twitter profile for LinkBuilding. That’s right – you can use your Twitter profile to build some juicy links.